Its pretty safe to say my white cropped jeans have been one of my most worn pair of jeans. I got this pair from Everlane early last year and since then, they have been on heavy rotation during all throughout the year. They are incredibly comfortable, look great dressed up or down, under $100, and have held up perfectly. I'm sure for most, wearing white jeans is more popular during the spring/summer months. For me, I don't mind breaking the rules and wearing them in the off-season. But since we are well into spring, I thought it would be a great time to share a few different ways to wear them - just in case you still needed some outfit inspiration. 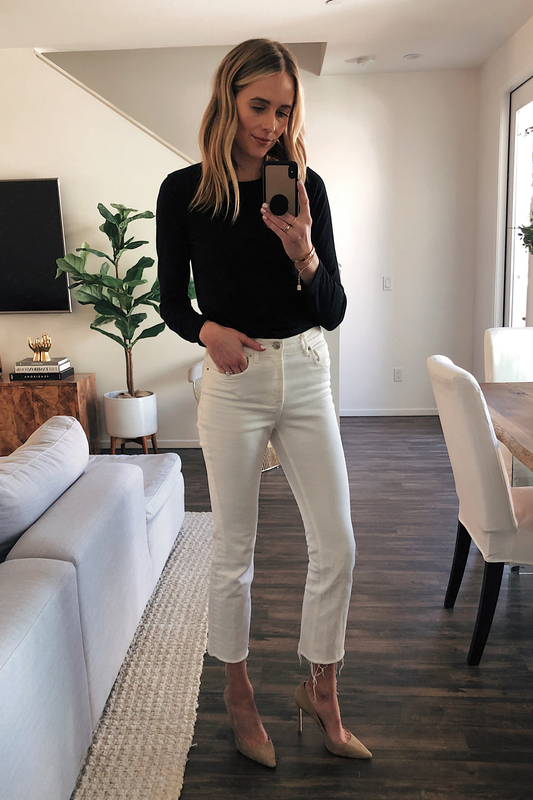 My exact pair worn in the all pictures below are from Everlane (fit is true to size), but I'm also linking more white cropped jeans at the end of the post. Keep reading to see 16 ways I've worn white cropped jeans and shop a few of my favorite styles.